The Visa Code is a core element of the common visa policy: it establishes harmonised procedures and conditions for processing visa applications and issuing visas. It entered into force on 5 April 2010, with the overarching objectives of facilitating legitimate travel and tackling irregular immigration, enhancing transparency and legal certainty, strengthening procedural guarantees and reinforcing equal treatment of visa applicants. The Visa Code required the Commission to submit to the European Parliament and the Council an evaluation of its implementation two years after all the provisions of the Regulation had become applicable. It presented its evaluation in a report 1 and accompanying staff working document 2 on 1 April 2014. On the basis of this evaluation, on the same date the Commission adopted a proposal 3 for a recast of the Visa Code with the aim of enhancing travel to the EU through visa policy facilitations (thereby to contributing to tourism, trade, growth and employment in the EU) and to harmonising implementation of the common rules. However, due to divergences in the positions of the European Parliament and the Council, negotiations have not progressed. Meanwhile, greater security and migratory challenges have made it clear that the approach followed in 2014 no longer matches reality. These factors prompted the Commission to announce the withdrawal of its recast proposal in the Commission Work programme for 2018 4 . The formal withdrawal will take place in April 2018. While migration- and security-related objectives have become increasingly important, one should not lose sight of the fact that the vast majority of visa applicants pose no security and/or migratory risk to the EU and are bringing significant benefits to the EU. Therefore, this proposal focuses on streamlining and improving operational aspects of the visa procedure and takes account of the results of negotiations on the Visa Code recast proposal. New elements have been added which were advanced in the Commission's September 2017 Communication on the Delivery of the European Agenda on Migration 5 and in its consultations, such as the need for sufficient financial resources to support Member States' visa processing, clear rules on the issuing of multiple entry visas with a long period of validity and the leverage role that visa policy can exert in the EU's readmission policy. The Commission’s proposal for the reform of the Visa Information System legal framework (to be presented in spring 2018) will further enhance the security and efficiency of the visa procedure, in particular by taking account of technological developments and harnessing them to the benefit of Member States' authorities and bona fide applicants, closing information gaps in some areas, enhancing checks on persons and speeding up the quality and outcome of the procedure. –the VIS 8 , in which all visa applications and Member States’ decisions are recorded, including applicants’ personal data, photographs and fingerprints. While adding new elements, the proposed amendments, will not fundamentally alter the Visa Code, which therefore remains faithful to the existing principles for the processing of visa applications. While maintaining security at the external borders and ensuring the smooth functioning of the Schengen area, the proposed amendments facilitate travel for legitimate travellers and simplify the legal framework in the interest of Member States, e.g. by allowing more flexible rules on consular cooperation. The common visa policy should continue to contribute to growth but should also be coherent with other EU policies on external relations, trade, education, culture and tourism. However, the changed migration situation and increased security threat in recent years have shifted the political debate on the Schengen area, in general, and visa policy, in particular, towards a reassessment of the balance between migration and security concerns, economic considerations and general external relations. Since the 2014 evaluation was published, the Visa Code objectives of preventing irregular migration and security risks have taken on greater significance. The changed political context has meant that visa policy came into focus as a tool for achieving progress in relations with third countries, as experience with visa liberalisation had already shown. 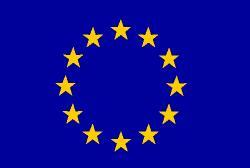 The legal basis for this proposal is Article 77(2)(a) of the Treaty of the Functioning of the European Union (TFEU). The proposal amends Regulation (EC) No 810/2009 of the European Parliament and of the Council of 13 July 2009 establishing a Community Code on Visas (Visa Code) 10 which was based on the equivalent provisions of the Treaty establishing the European Community, i.e. Article 62(2)(a) and (b)(ii). The current proposal is within the limits set by this provision. The objective is further to develop and improve the rules of the Visa Code concerning the conditions and procedures for issuing visas for intended stays in the territory of Member States not exceeding 90 days in any 180-days period. This cannot be sufficiently achieved by the Member States acting alone, because only the Union can amend an existing Union Act (the Visa Code). Article 5(4) of the Treaty on the European Union (TEU) provides that the content and form of Union action must not exceed what is necessary to achieve the objectives of the Treaties. The form chosen for this action must enable the proposal to achieve its objective and be implemented as effectively as possible. The Visa Code was established in 2009 by means of a Regulation in order to ensure that it would be applied in the same way in all Member States that apply the Schengen acquis. The proposed initiative constitutes an amendment to a Regulation and must therefore also take the form of a Regulation. –the proposed measures to improve cooperation on the readmission of irregular migrants are proportionate, as implementation of the general mechanism is to be adapted in a targeted, flexible and gradual approach. These do not affect the possibility for the applicant to be granted a visa, as such, but cover certain facilitations in the procedure for issuing the visa or the level of the visa fee. The consultation of interested parties is covered in the impact assessment 12 accompanying this proposal. This proposal is supported by an impact assessment focusing on the three main problem areas addressed. Other elements linked either to the facilitation of visa procedures or to clarification and streamlining of existing provisions, have been carried over from the 2014 recast proposal. 13 Most of them concern rather procedural matters which do not leave much room for considering different policy options and have therefore not been examined in detail in the impact assessment. –option 1C: increase of common visa fee, with various sub-options: EUR 80, EUR 100, EUR 120 or a combination of EUR 80 for visas up to six months and EUR 120 for multiple entry visas of one to five years. The preferred option is a moderate increase of the common visa fee to EUR 80. This is not the most effective option, as higher fee increases would obviously generate more financial resources. However, it will lead to a sound increase of revenues for Member States (+26%) and therefore support the integrity of visa processing and the security of the Schengen area. At the same time a moderate increase (EUR 20) will not be a deterrent for the overwhelming majority of visa applicants, for whom it will not be a decisive factor compared with the price of airline tickets to Europe and other costs involved in travel. Negative impact on travel behaviour and thus the EU tourism and travel industry will be minimal. In international comparison the fee will remain relatively low and therefore competitive. –option 2D: standard multiple entry visas with two- or five-year validity. The preferred option is a ‘one-size-fits-all’ multiple entry visas cascade at EU level and the possibility of adapting the cascade to specific countries. Though not the most effective option (compared with options that would prescribe long-validity multiple entry visas as the standard visa to be issued), it will achieve to a great extent the objective of increasing the number of long-validity multiple entry visas issued. It further combines a minimum standard applicable to all third countries with the possibility of more favourable solutions for specific third countries, adapted to local circumstances and migratory risk. Due to a reduced number of visa procedures for frequent travellers, it will produce cost savings for Member States and applicants. At the same time it will enable spontaneous travel by multiple entry visa holders and thus support the competitiveness of the EU tourism industry. –option 3C: negative incentives in visa policy with various sub-options (maximum approach aiming at all passports from the start or targeted approach in two phases: diplomatic and service passports, then ordinary passports). The preferred option is targeted negative incentives. Negative measures in the visa area are likely to be most effective in bringing change in third country governments towards cooperation with Member States on the readmission of irregular migrants, although they might need to be combined with measures in other policy areas, to be fully successful. At the same time, the flexible approach first targeting the government officials of the country concerned or the general population is the most appropriate and proportionate approach and will entail the least negative consequences for travelling, economic sectors and the EU’s standing and reputation. In the proposal the targeted approach is maintained but rather than fixing the two-phase approach in the legal act, the text allows flexibility with regard to application of the measures in practice. The proposed amendments respect the fundamental rights set out in the Charter of Fundamental rights of the European Union. As there have been no substantive changes to the Visa Code since the 2004 evaluation was published, its findings remain generally valid today. See also Annex 4 to the attached impact assessment. The proposed amendments concern the Visa Code the implementation of which is also evaluated through the Schengen evaluation mechanism in accordance with Council Regulation (EU) No 1053/2013 14 , without prejudice to the Commission's role as guardian of the Treaties (Article 17(1) TEU). Regulation (EC) No 810/2009 of the European Parliament and of the Council 15 establishes the procedures and conditions for issuing visas for intended stays on the territory of Member States not exceeding 90 days in any 180 days period. Because the legal basis for this proposal is to be found in Title V of Part Three of the TFEU, the system of ‘variable geometry’, as provided for in the protocols on the position of the Denmark, Ireland and the United Kingdom and the Schengen protocol, applies. The proposal builds on the Schengen acquis. The consequences for the various protocols and Schengen association agreements therefore have to be considered with regard to Denmark, Ireland and the United Kingdom, Iceland and Norway; and Switzerland and Liechtenstein. Likewise, the consequences for the various Acts of Accessions must be considered. The detailed situation of each of the States concerned is set out in recitals 18-26 of this proposal. –Paragraph (1) horizontal change: throughout the text the reference to "transit" as a travel purpose has been deleted because the artificial distinction between transit and stay (transit implies a stay) is abandoned (and the specific transit visa was abolished in the Visa Code, adopted in 2009). –Paragraph 2, point (a): see explanation under Article 1(1). –Paragraph 7: a reference to appropriate legal basis (Decision No 1105/2011) is added. –Paragraph 11 is deleted because is superfluous as the notion "commercial intermediary" is described in Article 45. –Paragraph 12: a definition of 'seafarer' is added to ensure that all staff working on ships benefit from the various procedural facilitations. –Paragraph 5 (b) and (c): addition of a reference to the Caribbean parts of the Kingdom of the Netherlands. –Paragraph 2: addition of a reference to the new Article 36a which allows for the issuing of visas at external borders under a specific scheme. –Paragraph 1 (b) is amended to maintain only one objective criterion, i.e. length of stay, for determining the Member State competent for examining an application when the envisaged trip covers more than one destination. The aim is to enhance clarity for visa applicants and avoid disagreement among Member States about competence. –In adition, competence is clarified for cases where a person has to make several unconnected trips to different Member States within a short period where applying for a visa for each trip would not only be impossible because of time constraints but also be an excessive burden. –Current paragraph 2 is deleted to ensure that the representing Member State is fully responsible for the processing of visa applications on behalf of the represented Member State, which will streamline the processing of visa applications under representation and is in line with the principle of mutual trust on which the Schengen acquis is based. –Paragraph 3 governs the collection and transmission of files and data among Member States in situations where a Member State represents another solely for the collection of applications and biometric identifiers. –Paragraph 4 is amended to take account of the deletion of the possibility of a represented Member State to require being involved in cases handled under representation. –Paragraph 7 sets a minimum deadline by which the represented Member States must notify the Commission of the conclusion or termination of representation arrangements. –Paragraph 8 provides that the representing Member States shall at the same time notify to other Member States and the EU Delegation in the jurisdiction concerned the conclusion or termination of representation arrangements. –Paragraph 10 is added to prevent prolonged interruption of operations and the manual issuing of visa stickers. –Paragraph 1 extends to six months the maximum deadline for lodging an application to allow travellers to plan ahead and avoid peak seasons; due to their specific working conditions, seafarers may lodge their application nine months before the intended trip. Minimum deadline for lodging an application has been set to allow Member States time for proper assessment of applications and organisation of work. –Paragraph 4 is amended to clarify the rules on who may lodge the application on behalf of the applicant and a reference is made to professional, cultural, sports or education association or institution as distinct from commercial intermediaries. –Paragraph 5 has been moved from the previous Article 40(4) and amended to emphasise the basic principle that an applicant should only have to go to one location to lodge an application. –Paragraph 1 has been replaced by a new text to take account of the abolition of the general principle of all applicants having to lodge the application in person each time they apply for a visa. This change is without prejudice to the obligations imposed on Member States by Directive 2004/38/EC, in particular its Article 5(2). Applicants are required to appear in person at the consulate or the external service provider for the collection of fingerprints to be stored in the VIS. –Paragraph 2 is deleted as a consequence of the amendment of paragraph 1. –Paragraph 1 is amended to add a reference to the possibility of filling in and signing the application form electronically. –Paragraph 1a is added to emphasise that the content of the electronic application forms must correspond to the content of the uniform application form in Annex I and no additional entries may be added. –Paragraph 3 has been simplified to ensure that the application form is always, as a minimum, available in the official language of the Member State, for which the visa is requested, and that of the host state. –Paragraph 4 is deleted because of changes in paragraph 3. –Paragraph 4 is amended to clarify and further harmonise the content of the national forms for sponsorship and/or invitation. –Paragraph 5 is replaced to match the enhance role to be played by local Schengen cooperation (Article 48(1)). –Paragraph 5a has been added to take account of the provisions on implementing measures set out in Article 52(2). –In Paragraph 1 the reference to "two" entries has been deleted as a consequence of the deletion of the same reference in Article 24(1). –Paragraph 2 has been amended to clarify that applicants applying for a multiple entry visa have to provide proof of travel medical insurance only for the first intended visit. –Paragraph 1: the visa fee is increased from EUR 60 to EUR 80 to ensure better coverage of Member States' costs; this will increase of Member States' resources (+26%), while not representing a deterrent for the overwhelming majority of visa applicants, compared with the travel and other costs involved. A mechanism is introduced to assess the need to revise the fee every two years taking into account criteria such as the EU inflation rate, is introduced. This allows for regular monitoring and a review of the fee where appropriate. Inter alia the proposed increase of the fee will allow Member State to maintain adequate levels of consular staff to process visa applications within the timeframe set in Article 23. –Paragraph 2: the visa fee for minors (6-12 years of age) will be increased by EUR 5 to EUR 40. –Paragraph 3 is deleted because the reference to "administrative costs" is artificial given that research has shown that the precise administrative costs cannot be calculated. The imprecise reference to regular revisions is replaced by a clearer revision mechanism in paragraph 8a. –Paragraph 4(c): the text is amended to ensure that researchers participating in seminars/conferences are also covered by the visa fee waiver and a reference to the correct legal basis is added. –Paragraph 5 is deleted as general optional visa fee waivers are mostly decided upon at central level and therefore local harmonisation is not possible. –New Paragraph 8a establishes a mechanism for revision at regular (two-year) intervals and refers to the criteria on which to base such revision. –In paragraph 1, the reference to an ‘additional’ service fee has been deleted as it is misleading. –Paragraph 3 is deleted as experience has shown that such local harmonisation of service fees set in general contracts established at central level is not feasible. –A new paragraph 4a is added to allowing external service providers to charge a higher service fee when operating in third countries whose nationals are under visa requirement and where no Member State is present to collect visa applications. A higher service fee will cover the transfer of application files and return of travel document to/from the case-handling consulate located in another country. –Paragraph 5 is deleted as Member States should not be obliged to maintain the possibility of direct access for lodging applications at the consulate in places where an external service provider has been mandated to collect visa applications. This does not prevent them from offering the possibility of direct access. –Paragraph 3 (e) is amended as a consequence of the amendment of Article 15(2). –Paragraph 4 is amended to clarify the distinction between earlier stays under short stay visas and other types of visas or residence permits. –Paragraph 8 is amended to allow Member States to use modern means of communication to interview applicants, rather than requiring them to come to the consulate in person. –Paragraph 2 is amended to require Member States to reply to consultation requests as soon as possible and at the latest within seven calendar days. –Paragraph 3 requires Member States to notify requests for prior consultation at the latest 15 calendar days before the introduction of the measure so that applicants can be informed in good time and other Member States can prepare at technical level. –Paragraph 5 is deleted because it has become obsolete. –Paragraph 1 provides that the general decision making time should be maximum 10 days. The average decision making time is 5 days according to information recorded in the Visa Information System. Short decision making times are used by some Member States as a deliberate means of attracting travellers and excessive discrepancies between processing times lead to ‘visa shopping’. The proposed increased visa fee will allow Member States to maintain or increase numbers of decision-making staff in consulates to ensure that decisions are taken on applications within the maximum deadline. –Paragraph 2 is amended to allow for extending the maximum period for deciding on applications to 45 days and the last sentence is deleted as a consequence of the abolition of the provision whereby a represented Member State can require to be consulted on cases handled in representation (Article 8(4)). –Paragraph 3 is deleted because a period of 60 calendar days to examine an application for a short-stay visa is excessive. –A new point ba) is added in paragraph 4 to add a reference to airport transit visas which is missing in the current Visa Code. –Point (d) in paragraph 4 is deleted as a consequence of the abolition of the provision allowing a represented Member State to be consulted; this abolishes the requirement that certain cases be transmitted for handling by the represented Member State rather than the representing Member State. –In the first sentence of the second subparagraph of paragraph 1, the reference to ‘two-entry’ visas is deleted as it is superfluous – it is covered by the word ‘multiple’ and could limit the issuing of multiple entry visas. –The third subparagraph is deleted as a consequence of the deletion of the reference to “transit” in Article 1(1). –The formulation of the fourth subparagraph of paragraph 1, is clarified by removing the reference to ‘additional’ as it lead to misunderstandings as regards the calculation of the validity of the travel medical insurance. –A reformulated paragraph 2 establishes general rules for a gradual issuing of multiple entry visas with a long validity, i.e. a “cascade”. Such harmonised rules will prevent “visa shopping” and fraudulent behaviour where applicants seek to conceal the true Member State of destination in order to apply at the consulate perceived as granting visas with the longest validity. –A new paragraph 2b is added to allow for local adaptation of the ‘cascade’ to take account of local circumstances and migratory and security risks. –A new paragraph 2c is added to cover other cases of visa applicants eligible for being granted an multiple entry visa with a long validity. –A new paragraph 2d refers to the procedures for adopting such local ‘cascades’. Reference is made to the need to take account, in the assessment of the local adaptation, of migratory and security risk and the third country’s cooperation on the readmission of irregular migrants. –Paragraph 1: the general provisions on the limited number of supporting documents, the visa fee as established in Article 16(1), fee waiver for holders of diplomatic passports, 10-day processing time and the issuing of multiple entry visas will not apply to nationals of third countries not cooperating on readmission on the basis of objective and relevant criteria. The precise implementation of restrictive measures will be set out in the implementing act, referred to in paragraph 5. –Paragraph 2: the Commission is regularly to assess third countries’ cooperation on readmission, taking account of a number of indicators. –Paragraph 3: Member States may notify substantial and persistent practical readmission problems with a given third country on the basis of the same indicators as set out in paragraph 2. –Paragraph 4: the Commission is to assess Member States' notifications within one month. –Paragraph 5: on the basis of its analysis of Member States' notifications, where it considers that action is needed, the Commission is to adopt an implementing act temporarily suspending/applying the relevant provisions (cf. paragraph 1) to all nationals or categories of nationals of the third country in question. –Paragraph 6: the Commission is continuously to assess the third country's effective cooperation on readmission in order to adapt or repeal the application of restrictive measures. –Paragraph 7: at the latest six months after the entry into force of the implementing act, the Commission is to report to European Parliament and the Council on progress on cooperation on readmission. –Paragraph 1 is replaced and deletes Annex VII on the filling in of the visa sticker and empowers the Commission to adopt the details for filling in the visa sticker by an implementing act. –Paragraph 2 is amended to strengthen the provisions on the national comments on the visa sticker. –Paragraph 4 is amended to ensure that only single entry visas are issued manually. –Paragraph 1 is amended to take account of the deletion of Annex VIII. –Paragraph 1a is inserted to empower the Commission to adopt the operational instructions on how to affix the visa sticker by an implementing act. –Paragraph 2 is amended to ensure timely information of other Member States, in line with changes made in Article 22 (prior consultation). –A new point iia is added in paragraph 1, point 1(a), to remedy an earlier omission related to airport transit. –Paragraph 3 is replaced to refer to the need for Member States to provide detailed information on appeal procedures and for such procedures to guarantee an effective judicial appeal (cf. ECJ ruling Case C- 403/16). –Paragraph 4 is deleted as a consequence of deleting of the provision requiring that certain cases be transmitted for handling by the represented Member State rather than the representing Member State. –Paragraph 3 is inserted to empower the Commission to adopt the operational instructions for issuing visas to seafarers at the borders. –In order to promote short term tourism (max. seven days), a new provision derogating from the general rules on the issuing of visas at the external border has been introduced. Member States will be allowed to issue visas at the external border under specific schemes subject to strict criteria and upon notification and publication of the organisational modalities of the scheme. Detailed provisions establish safeguards to minimise the irregular migration and security risks, particularly by limiting the duration of such schemes to four months and restricting their scope to nationals of the country adjacent to the land border crossing point or are nationals of a country having direct ferry connection to the sea border crossing point. Specially trained staff must carry out a full examination of compliance with all entry conditions must be carried out in appropriate structures. The visa eventually issued shall be valid for the issuing Member State only for one entry and a stay of no more than seven days. The schemes can apply only to nationals of third countries having concluded a readmission agreement and for which the mechanism referred to in Article 25a has not been triggered. –Paragraph 3 is amended to allow for electronic filing and to reduce the minimum period of archiving. –A new paragraph 1a is added to ensure that the integrity of the visa-handling procedure is enforced and monitored appropriately. –More flexible rules have been added that allow Member States to optimise their use of resources, increase consular coverage and develop cooperation. –In paragraph 1, the second sentence has become obsolete, as the lodging of applications at consulates is no longer the basic principle, and it is therefore deleted. –Point (b) of paragraph 2 is reworded as a consequence of the deletion of the old Article 41 and of the abolition of recourse to outsourcing as a ‘last resort’. –This Article has been deleted because the options set out have proven not to be feasible. The revised Article 40 allows the Member States to develop cooperation in a more flexible manner. –Paragraph 3 is deleted because Member States generally draw up global contracts with external service providers at central level. –A reference to the mandatory information to be given to applicants is added in in point (a) in paragraph 6. –Point (e) of paragraph 6 is amended as a consequence of the amendment of Articles 10 and 40. –Paragraph 7 is amended to extend the range of entities that can participate in calls for tenders. –Paragraph 9 is amended to take account of new legislation on data protection and to ensure that external service providers’ respect of data protection rules is monitored by Member States’ data protection supervisory authorities. –Paragraph 11 is amended to emphasise that Member States must verify that external service providers provide applicants with all the information required under Article 47(1) and to reinforce the obligation of the Member States to monitor external service providers. –A new paragraph 11a is added to require that Member States report annually to the Commission on their cooperation with and monitoring of external service providers. –Paragraphs 1, 2 and 3 are amended to take account of the removal from Article 8 of references to the involvement of the represented Member State. –Paragraph 1 is amended as a consequence of the deletion of the old Article 2(11), i.e. the definition of commercial intermediary. –Paragraph 3 is amended because it duplicates the general rule set out in Article 21(3)(e) on the verification of applicants’ possession of adequate travel medical insurance. –Paragraph 1, point (c) is amended to take account of the deletion of the old Article 41. –Paragraph 1 is reworded to clarify the mandatory nature of local Schengen cooperation (LSC). –Paragraph 1a, first sentence, and points (a) and (b) are amended to provide that within LSC, harmonised lists of supporting documents and local implementation of multiple entry visa ‘cascades’ are prepared. –Paragraph 2 is deleted and the content inserted into paragraph 1a. –Point (a) of paragraph 3 is amended to provide for the quarterly (rather than monthly) compilations of statistics on visas at local level. –Point (b) of paragraph 3 is amended to emphasise which aspects should be discussed (and assessed) in the LSC. –Paragraph 6a is amended to provide that on the basis of the annual reports drawn up in the various LSC contexts, the Commission draws up one annual report to be transmitted to the European Parliament and the Council. –Article 50 is deleted as a consequence of the deletion of Annexes VII, VIII and IX. Amendment of the remaining Annexes will amended following a full legislative procedure. –These Articles are added to take account of the provisions of Article 290 of TFEU. –The Article is amended to take account of the provisions set out in Article 52(2). –This Article is replaced to take account of the provisions governing the exercise of the Commission’s implementing powers in accordance with Regulation (EU) No 182/2011. These are the standard provisions regarding monitoring and evaluation of legal instruments. –Paragraphs 1, 2 and 4: these are the standard clauses on entry into force and direct applicability. The application of the Regulation is deferred for [six months] following entry into force. –Annex I (application form) is replaced to simplify and clarify content. –Annex V (residence permits issued by certain third countries the holders of which are exempt from the airport transit visa requirement) is replaced by updated information. –Annex VI (standard form for giving reasons for refusal, annulment or revocation of a visa) to allow for more detailed information on refusal grounds and procedures for appealing against negative decisions. –Annexes VII, VIII and IX are deleted. –Annex X (list of minimum requirements to be included in the legal instrument covering cooperation with external service providers) is replaced to add more details with regard to certain aspects to be covered in the legal instrument. (1)The European Union’s common short-stay visa policy has been an integral part to the establishment of an area without internal borders. Visa policy should remain an essential tool for facilitating tourism and business, while helping counter security risks and the risk of irregular migration to the Union. (2)The Union should use its visa policy in its cooperation with third countries, and to ensure a better balance between migration and security concerns, economic considerations and general external relations. (3)Regulation (EC) No 810/2009 of the European Parliament and of the Council 17 establishes the procedures and conditions for issuing visas for intended stays on the territory of Member States not exceeding 90 days in any 180-days period. (4)The visa application procedure should be as easy as possible for applicants. It should be clear which Member State is competent for examining an application for a visa in particular where the intended visit covers several Member States. Where possible, Member States should allow for application forms to be completed and submitted electronically. Deadlines should be established for the various steps of the procedure in particular to allow travellers to plan ahead and avoid peak seasons in consulates. (5)Member States should not be obliged to maintain the possibility of direct access for the lodging of applications at the consulate in places where an external service provider has been mandated to collect visa applications on its behalf, without prejudice to the obligations imposed on Member States by Directive 2004/38/EC 18 , in particular its Article 5(2). (6)The visa fee should ensure that sufficient financial resources are available to cover the expenses of visa processing, including appropriate structures and sufficient staff to ensure the quality and integrity of the examination of visa applications. The amount of the visa fee should be revised on a two-yearly basis on the basis of objective criteria. (7)To ensure that nationals of third countries subject to the visa requirement can lodge their visa application in their place of residence even if no Member State is present for the purpose of collecting applications, external service providers should be enabled to provide the necessary service for a fee exceeding the general maximum level. (8)Representation arrangements should be streamlined and obstacles to the conclusion of such arrangements among Member States should be avoided. The representing Member State should be responsible for the entire processing of visa applications without the involvement of the represented Member State. (9)In order to lessen the administrative burden on Member States’ consulates and to facilitate smooth travel for frequent or regular travellers, multiple-entry visas with a long period of validity should be issued according to objectively determined common criteria and not be limited to specific travel purposes or categories of applicants. (10)Given the differences in local circumstances notably with regard to migratory and security risks, as well as the relationships that the Union maintains with specific countries, Member States' diplomatic missions and consular posts in individual locations should assess the need to adapt the general provisions to allow for a more favourable or more restrictive application. More favourable approaches in issuing multiple-entry visas with a long period of validity should take into account, in particular, the existence of trade agreements covering the mobility of business persons, and the third country's cooperation on the readmission of irregular migrants. (11)In case of lack of cooperation of certain third countries to readmit their nationals apprehended in an irregular situation and failure of those third countries to cooperate effectively in the return process, a restrictive and temporary application of certain provisions of Regulation (EC) No 810/2009 should on the basis of a transparent mechanism based on objective criteria, be applied to enhance a given third country's cooperation on readmission of irregular migrants. (12)Applicants who have been refused a visa should have the right to appeal which should, at a certain stage of the proceedings, guarantee an effective judicial appeal. More detailed information on the refusal grounds and procedures for appeal of negative decisions should be provided in the notification of the refusal. (13)The issuing of visas at the external border should remain exceptional. However, to promote short term tourism, Member States should be authorised to issue visas at the external border on the basis of temporary schemes, for which the organisational arrangements should be notified and published. Such schemes should be limited in scope and comply with the general rules for processing visa applications. The validity of the visa issued should be limited to the territory of the issuing Member State. (14)Local Schengen cooperation is crucial for the harmonised application of the common visa policy and for proper assessment of migratory and security risks. Cooperation and exchanges among Member States’ diplomatic missions and consular posts in individual locations should be coordinated by Union Delegations. They should assess the operational application of specific provisions in the light of local circumstances and migratory risk. (15)Member States should closely and regularly monitor the operations of external service providers to ensure compliance with the legal instrument governing the responsibilities entrusted with the external service provider. Member States should report to the Commission annually on the cooperation with and monitoring of external service providers. Member States should ensure that the entire procedure for the processing of visa applications and the cooperation with external service providers is monitored by expatriate staff. (16)Flexible rules should be established to allow Member States to optimise the sharing of resources and to increase consular coverage. Cooperation among Member States (Schengen Visa Centres) could take any form suited to local circumstances in order to increase geographical consular coverage, reduce Member States' costs, increase the visibility of the Union and improve the service offered to visa applicants. (17)Electronic visa application systems developed by Member States help to facilitate application procedures for applicants and consulates. A common solution allowing full digitisation should be developed, making full use of the recent legal and technological developments. (18)In accordance with Articles 1 and 2 of the Protocol No 22 on the Position of Denmark annexed to the Treaty on European Union (TEU) and to the Treaty establishing the European Community on the Functioning of the European Union (TFEU) Denmark is not taking part in the adoption of this Regulation and is not bound by it, or subject to its application. Given that this Regulation builds upon the Schengen acquis under the provisions of Title IV of Part Three of the Treaty establishing the European Community, Denmark shall, in accordance with Article 4 of that Protocol, decide within a period of six months after the Council has decided on this Regulation whether it will implement it in its national law. (19)This Regulation constitutes a development of the provisions of the Schengen acquis in which the United Kingdom does not take part, in accordance with Council Decision 2000/365/EC 19 . The United Kingdom is therefore not taking part in its adoption and is not bound by it or subject to its application. (20)This Regulation constitutes a development of the provisions of the Schengen acquis in which Ireland does not take part, in accordance with Council Decision 2002/192/EC 20 . Ireland is therefore not taking part in the adoption of the Regulation and is not bound by it or subject to its application. (23)As regards Liechtenstein, this Regulation constitutes a development of the provisions of the Schengen acquis within the meaning of the Protocol signed between the European Union, the European Community, the Swiss Confederation and the Principality of Liechtenstein on the accession of the Principality of Liechtenstein to the Agreement concluded between the European Union, the European Community and the Swiss Confederation on the Swiss Confederation’s association with the implementation, application and development of the Schengen acquis, which fall within the area referred to in Article 1, point B, of Decision 1999/437/EC read in conjunction with Article 3 of Council Decision 2011/350/EU 25 on the conclusion of that Protocol. (24)As regards Cyprus, this Regulation constitutes an act building upon or otherwise related to the Schengen acquis, within the meaning of Article 3(12) of the 2003 Act of Accession. (25)As regards Bulgaria and Romania, this Regulation constitutes an act building upon or otherwise related to the Schengen acquis within the meaning of Article 4(12) of the 2005 Act of Accession. (26)As regards Croatia, this Regulation constitutes an act building upon, or otherwise related to, the Schengen acquis within the meaning of Article 4(2) of the 2011 Act of Accession. “3. Where the representation is limited to the collection of applications, the collection and data, and their transmission to the represented Member State shall be carried out in compliance with the relevant data protection and security rules. “7. The represented Member State shall notify the Commission of the representation arrangements or the termination of those arrangements at the latest one month before they enter into force or are terminated, except in cases of force majeure. (b) the official language(s) of the host country. (g) possible family ties with the sponsor/inviting person. (h) the information required pursuant to Article 37(1) of Regulation (EC) No 767/2008. In addition to the Member State’s official language(s), the form shall be drawn up in at least one other official language of the institutions of the Union. A specimen of the form shall be sent to the Commission. “1. Applicants shall pay a visa fee of EUR 80. “2. The central authorities consulted shall reply definitively as soon as possible but not later than seven calendar days after being consulted. The absence of a reply within this deadline shall mean that they have no grounds for objecting to the issuing of the visa. “1. Applications shall be decided within 10 calendar days of the date of the lodging of an application which is admissible in accordance with Article 19. “2a. By way of derogation from paragraph 2, the validity period of the visa issued may be shortened in individual cases where there is reasonable doubt that the entry conditions will be met for the entire period. 2b. By way of derogation from paragraph 2, Member States' consulates shall within local Schengen cooperation as referred to in Article 48, assess whether the rules on the issuing of the multiple entry visas set out in paragraph 2 need to be adapted to take account of local circumstances, and of migratory and security risk, in view of the adoption of more favourable or more restrictive rules in accordance with paragraph 2d. 2c. Without prejudice to paragraph 2, a multiple entry visa valid for up to five years may be issued to applicants who prove the need or justify their intention to travel frequently and/or regularly provided that they prove their integrity and reliability, in particular the lawful use of previous visas, their economic situation in the country of origin and their genuine intention to leave the territory of the Member States before the expiry of the visa for which they have applied. 1. Article 14 (6), Article 16(1) and (5), point (b), Article 23(1), and Article 24(2) shall not apply to applicants or categories of applicants, who are nationals of a third country that is considered not to be cooperating sufficiently with Member States on the readmission of irregular migrants, on the basis of relevant and objective data, in accordance with this Article. This Article is without prejudice to the powers conferred on the Commission by Article 24(2d). (c)the number of readmission requests accepted by the third country as a percentage of the number of such applications submitted to it. 3. A Member State may also notify the Commission if it is confronted with substantial and persisting practical problems in the cooperation with a third country in the readmission of irregular migrants on the basis of the same indicators as those listed in paragraph 2. 4. The Commission shall examine any notification made pursuant to paragraph 3 within a period of one month. (b)applying the visa fee set out in Article 16(2a) to all nationals of the third country concerned or to certain categories thereof. 6. The Commission shall continuously assess on the basis of the indicators set out in paragraph 2 whether significant improvement in the given third country's cooperation on readmission of irregular migrants can be established and, taking also account of the Union’s overall relations with the third country concerned, may decide to repeal or amend the implementing act referred to in paragraph 5. “1. The Commission shall by means of implementing acts adopt the details for filling in the visa sticker. Those implementing acts shall be adopted in accordance with the examination procedure referred to in Article 52(2). 2. The duration of the scheme shall be limited to four months in any calendar year and the categories of beneficiary shall be clearly defined and exclude third-country nationals falling within the category of persons for whom prior consultation is required in accordance with Article 22 and persons not residing in the country adjacent to the land-border crossing point or in a country having direct ferry connections to the sea-border crossing point. Those schemes shall only apply to nationals of third countries with which readmission agreements have been concluded and for which the Commission has not taken a decision in accordance with Article 25a(5). 3. The Member State concerned shall establish appropriate structures and deploy specially trained staff for the processing of visa applications and the carrying out of all verifications and risk assessment, as set out in Article 21. 4. A visa issued pursuant to a specific scheme shall allow for only one entry, be valid only for the territory of the issuing Member State and shall authorise a stay of no more than seven calendar days. No ‘period of grace’ shall be included in the period of validity of the visa. 5. Where a visa is refused at the external border pursuant to a specific scheme, the Member State may not impose on the carrier concerned the obligations set out in Article 26 of the Convention Implementing the Schengen Agreement. 6. Member States shall notify the Commission of any schemes at the latest six months before the start of their implementation. The notification shall specify the categories of beneficiary, the geographical scope, the organisational arrangements for the scheme and the measures envisaged to ensure compliance with the conditions set out in this Article. The Commission shall publish this notification in the Official Journal of the European Union. (a)“3. Member States’ consulates shall keep archives of applications in paper or electronic format. Each individual file shall contain the relevant information allowing for a reconstruction, if need be, of the background for the decision taken on the application. 1. Each Member State shall be responsible for organising the procedures relating to applications. (b) cooperate with one or more other Member States under representation arrangements or any other form of consular cooperation. 3. A Member State may also cooperate with an external service provider in accordance with Article 43. 4. Member States shall notify to the Commission their consular organisation and cooperation in each consular location. 1. In the case of cooperation among Member States and cooperation with an external service provider and recourse to honorary consuls, the Member State(s) concerned shall ensure that data are fully encrypted, whether transferred electronically or physically on an electronic storage medium. 2. In third countries that prohibit the encryption of data to be electronically transferred the Member State(s) concerned shall not allow data to be transferred electronically. In such cases, the Member State(s) concerned shall ensure that the electronic data are transferred physically in fully encrypted form on an electronic storage medium by a consular officer of a Member State or, where such transfer would require disproportionate or unreasonable measures, in another safe and secure way, for example by using established operators experienced in transporting sensitive documents and data in the third country concerned. “1. Member States’ consulates and the Union delegations shall cooperate within each jurisdiction to ensure a harmonised application of the common visa policy taking into account local circumstances. 2. Powers to adopt delegated acts referred to in Article 16(8a) shall be conferred on the Commission for an indeterminate period of time. 3. The delegation of power referred to in Article 16(8a) may be revoked at any time by the European Parliament or by the Council. A decision to revoke shall put an end to the delegation of power specified in that decision. It shall take effect the day following the publication of the decision in the Official Journal of the European Union or at a later date specified therein. It shall not affect the validity of any delegated act already in force. 5. A delegated act adopted pursuant to Article 16(8a), shall enter into force only if no objection has been expressed either by the European Parliament or the Council within a period of two months of notification of that act to the European Parliament and the Council or if, before the expiry of that period the European Parliament and the Council have both informed the Commission that they will not object. That period shall be extended by two months at the initiative of the European Parliament or of the Council. The Commission shall by means of implementing acts adopt the operational instructions on the practical application of the provisions of this Regulation. Those implementing acts shall be adopted in accordance with the examination procedure referred to in Article 52(2). 1. The Commission shall be assisted by a committee (the ‘Visa Committee’). That committee shall be a committee within the meaning of Regulation (EU) No 182/2011. (41)The text set out in IV to this Regulation replaces Annex X. 1. Three years after [the date of entry into force of this Regulation], the Commission shall produce an evaluation of the application of this Regulation. This overall evaluation shall include an examination of the results achieved against objectives and of the implementation of the provisions of this Regulation. 2. The Commission shall transmit the evaluation referred to in paragraph 1 to the European Parliament and the Council. On the basis of the evaluation, the Commission shall submit, where necessary, appropriate proposals. 2. It shall apply from [six months after the day of entry into force]. (1) Report from the Commission to the European Parliament and the Council : A smarter visa policy for economic growth. COM(2014)165 final. (2) Evaluation of the implementation of Regulation (EC) No 810/2009 of the European Parliament and Council establishing a Community Code on Visas (Visa Code). SWD (2014)101 final. (4) COM(2017) 650 final, 24.10.2017, Annex IV. (6) Regulation (EC) No 539/2001 listing the third countries whose nationals must be in possession of visas when crossing the external borders and those whose nationals are exempt from that requirement, OJ L 81, 21.3.2001, p. 1. (7) Council Regulation (EC) No 1683/95 laying down a uniform format for visas, OJ L 164, 14.7.1995, p. 1. (8) Regulation (EC) No 767/2008 of the European Parliament and of the Council concerning the Visa Information System (VIS) and the exchange of data between Member States on short-stay visas (VIS Regulation), OJ L 218, 13.8.2008, p. 60. (9) SWD(2018) 77; executive summary: SWD(2018) 78. (10) Regulation (EC) No 810/2009 of the European Parliament and Council establishing a Community Code on Visas (Visa Code), OJ L 243, 15.9.2009, p. 1. (11) Points 7.1, 7.2 and 7.3. (13) SWD (2014) 67 and SWD 68. (14) Council Regulation (EU) No 1053/2013 of 7 October 2013 establishing an evaluation and monitoring mechanism to verify the application of the Schengen acquis and repealing the Decision of the Executive Committee of 16 September 1998 setting up a Standing Committee on the evaluation and implementation of the Schengen acquis, OJ L 295, 6.11.2013, p. 27. (15) Regulation (EC) No 810/2009 of the European Parliament and of the Council of 13 July 2009 establishing a Community Code on Visa (OJ L 243, 15.9.2009, p. 1). (17) Regulation (EC) No 810/2009 of the European Parliament and of the Council of 13 July 2009 establishing a Community Code on Visa (OJ L 243, 15.9.2009, p. 1). (18) Council Directive 2004/38/EC of the European Parliament and of the Council of 29 April 2004on the right of citizens of the Union and their family members to move and reside freely within the territory of the Member States, OJ L 229, 29.6.2004, p. 35. (21) OJ L 176, 10.7.1999, p. 36. (22) Council Decision of 17 May 1999 on certain arrangements for the application of the Agreement concluded by the Council of the European Union and the Republic of Iceland and the Kingdom of Norway concerning the association of those two States with the implementation, application and development of the Schengen acquis (OJ L 176, 10.7.1999, p. 31). (23) OJ L 53, 27.2.2008, p. 52. (24) Council Decision 2008/146/EC of 28 January 2008 on the conclusion, on behalf of the European Community, of the Agreement between the European Union, the European Community and the Swiss Confederation on the Swiss Confederation's association with the implementation, application and development of the Schengen acquis (OJ L 53, 27.2.2008, p. 1). (25) Council Decision of 7 March 2011 on the conclusion, on behalf of the European Union, of the Protocol between the European Union, the European Community, the Swiss Confederation and the Principality of Liechtenstein on the accession of the Principality of Liechtenstein to the Agreement between the European Union, the European Community and the Swiss Confederation on the Swiss Confederation’s association with the implementation, application and development of the Schengen acquis, relating to the abolition of checks at internal borders and movement of persons (OJ L 160, 18.6.2011, p. 19). (26) Decision No 1105/2011/EU of the European Parliament and of the Council of 25 October 2011 on the list of travel documents which entitle the holder to cross the external borders and which may be endorsed with a visa and on setting up a mechanism for establishing this list. OJ L 287, 4.11.2011, p. 9. (27) Council Directive 2005/71/EC of 12 October 2005 on a specific procedure for admitting third-country nationals for the purpose of scientific research (OJ L 289, 3.11.2005, p. 15). (28) Regulation (EU) No 2016/399 of the European Parliament and of the Council of 9 March 2016 establishing a Union Code on the rules governing the movement of persons across borders (Schengen Borders Code) (OJ L 77, 23.3.2016, p. 1). (29) Council Decision 2010/427/EU of 26 July 2010 establishing the organisation and functioning of the European External Action Service, OJ L 201, 3.8.2010, p. 30. Family members of EU, EEA or CH citizens shall not fill in fields no.21, 22, 30, 31 and 32 (marked with*). Fields 1-3 shall be filled in in accordance with the data in the travel document. □ Tourism…….□ Business…….□ Visiting family or friends ….□ Cultural ……□ Sports …….. I am aware that the visa fee is not refunded if the visa is refused. I am aware of and consent to the following: the collection of the data required by this application form and the taking of my photograph and, if applicable, the taking of fingerprints, are mandatory for the examination of the visa application; and any personal data concerning me which appear on the visa application form, as well as my fingerprints and my photograph will be supplied to the relevant authorities of the Member States and processed by those authorities, for the purposes of a decision on my visa application. Such data as well as data concerning the decision taken on my application or a decision whether to annul, revoke or extend a visa issued will be entered into, and stored in the Visa Information System (VIS) for a maximum period of five years, during which it will be accessible to the visa authorities and the authorities competent for carrying out checks on visas at external borders and within the Member States, immigration and asylum authorities in the Member States for the purposes of verifying whether the conditions for the legal entry into, stay and residence on the territory of the Member States are fulfilled, of identifying persons who do not or who no longer fulfil these conditions, of examining an asylum application and of determining responsibility for such examination. Under certain conditions the data will be also available to designated authorities of the Member States and to Europol for the purpose of the prevention, detection and investigation of terrorist offences and of other serious criminal offences. The authority of the Member State responsible for processing the data is: [(…………………………………………………………………………………………………………………………………..…)]. I am aware that I have the right to obtain in any of the Member States notification of the data relating to me recorded in the VIS and of the Member State which transmitted the data, and to request that data relating to me which are inaccurate be corrected and that data relating to me processed unlawfully be deleted. At my express request, the authority examining my application will inform me of the manner in which I may exercise my right to check the personal data concerning me and have them corrected or deleted, including the related remedies according to the national law of the State concerned. The national supervisory authority of that Member State [contact details: ………………………………………………………………………………………………………………………………………………..] will hear claims concerning the protection of personal data. I declare that to the best of my knowledge all particulars supplied by me are correct and complete. I am aware that any false statements will lead to my application being rejected or to the annulment of a visa already granted and may also render me liable to prosecution under the law of the Member State which deals with the application. I undertake to leave the territory of the Member States before the expiry of the visa, if granted. I have been informed that possession of a visa is only one of the prerequisites for entry into the European territory of the Member States. The mere fact that a visa has been granted to me does not mean that I will be entitled to compensation if I fail to comply with the relevant provisions of Article 6(1) of Regulation (EU) No 2016/399 (Schengen Borders Code) and I am therefore refused entry. The prerequisites for entry will be checked again on entry into the European territory of the Member States. –Autorització temporal (temporary immigration permit – green). –Autorització temporal per a treballadors d’empreses estrangeres (temporary immigration permit for employees of foreign enterprises – green). –Autorització residència i treball (residence and work permit – green). –Autorització residència i treball del personal d’ensenyament (residence and work permit for teaching staff – green). –Autorització temporal per estudis o per recerca (temporary immigration permit for studies or research – green). –Autorització temporal en pràctiques formatives (temporary immigration permit for internships and trainings – green). –Autorització residència (residence permit – green). –Permanent Resident Travel Document (PRTD). –Permesso di soggiorno ordinario (validity one year, renewable on expiry date). –Special residence permits for the following reasons (validity one year, renewable on expiry date): university attendance, sports, health care, religious reasons, persons working as nurses in public hospitals, diplomatic functions, cohabitation, permit for minors, humanitarian reasons, parental permit. –Seasonal and temporary working permits (validity 11 months, renewable on expiry date). –Identity card issued to people having an official residence "residenza" in San Marino (validity of 5 years). –May be endorsed at the port of entry for one year as temporary evidence of residence, while the I-551 card is pending production. –Valid, unexpired Form I-551 (Permanent Resident Card). –May be valid for up to 2 or 10 years – depending on the class of admission. –If there is no expiration date on the card, the card is valid for travel. –Valid, unexpired Form I-327 (Re-entry Permit). examined your visa, number: __________, issued:_______________ [date/month/year]. 17. revocation of the visa was requested by the visa holder. You may appeal against the decision to refuse/annul/revoke a visa. (d)instruct the service provider to clearly inform the public that other charges cover optional services. –ensure appropriate means of tracking individual application files to and from the consulate. (h)provide applicants with the information required pursuant to Article 37 of Regulation (EC) No 767/2008 . (1) No logo is required for Norway, Iceland, Liechtenstein and Switzerland. (2) Regulation (EU) 2016/679 of the European Parliament and of the Council of 27 April 2016 on the protection of natural persons with regard to the processing of personal data and on the free movement of such data, and repealing Directive 95/46/EC (General Data Protection Regulation), OJ L119, 4.5.2016, p. 1.